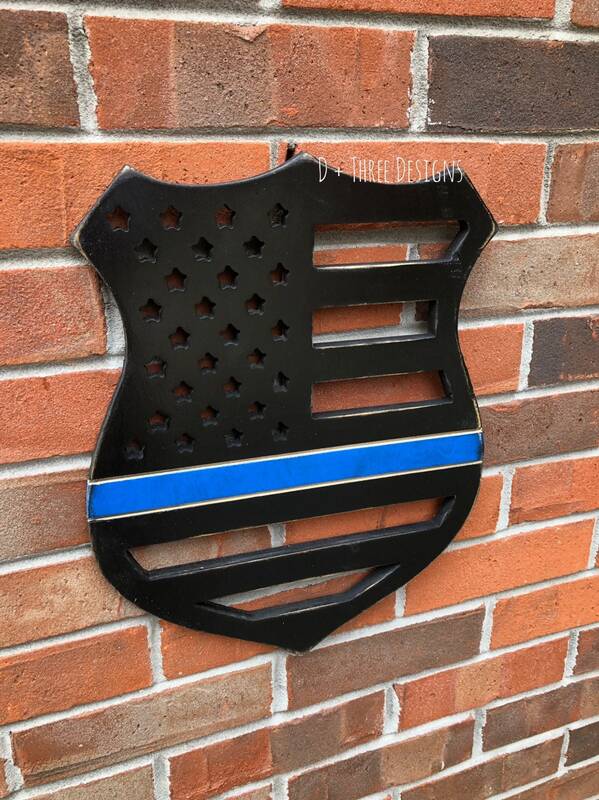 This is the perfect gift for any police officer or family. 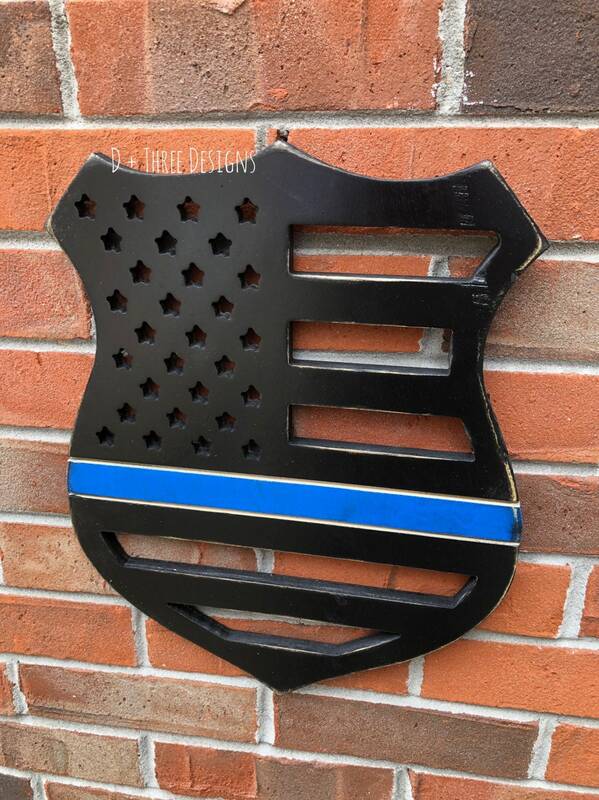 Show your appreciation with this thin blue line decor piece. This can be hung on the wall and comes with a bracket in the back. The badge listing is for the distressed look. We have a solid non-distressed police badge that is available. The police badge is made from 1/2" birch wood and measures approximately 14” tall. 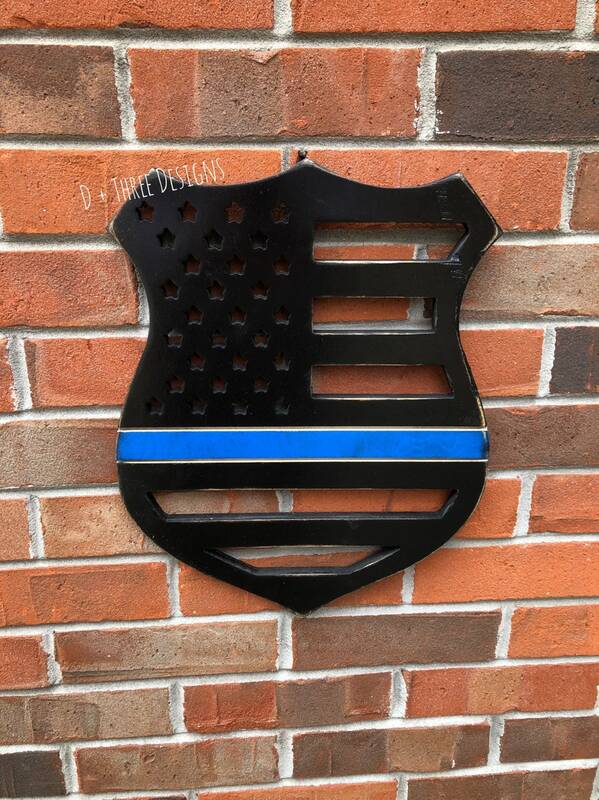 Painted black with thin blue line.